I was sitting in church the other night when I realized I wasn’t dreaming big enough for us for 2013. I was pretty happy to continue along our path and follow last year’s instructions to “Keep it Simple.” We did. We kept it quite simple. No elaborate strategic plans and yet, God kept opening up new doors and opportunities (as we dreamed together about a different world) and we kept walking through them. 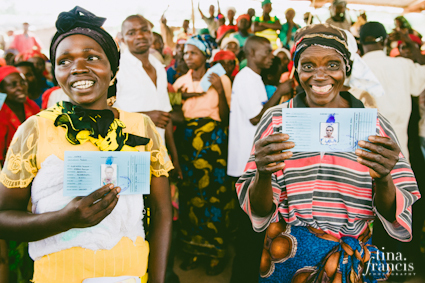 There was our Valentine’s Day campaign to fund ID cards for every woman—and some men—in the community of Bubanza, Burundi. Each one of us who participated and chose to purchase a $12 ID card—“blue roses,” as we started calling them–said dignity for our sisters is more important than a dozen red ones. We saw tweets and shares and support flood in from every part of the world and something Beautiful–something about our own dignity and bigger stories–got unlocked. There was that trip to the Justice Conference in Portland. 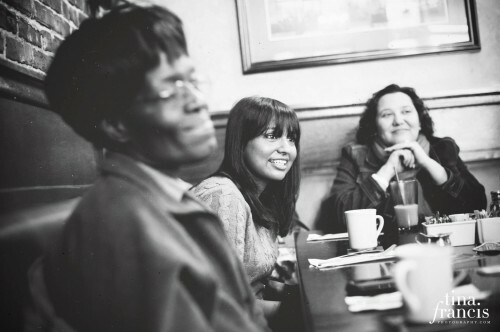 A whole carload full of us–old friends and new friends and we met up with SheLoves readers on a Sunday morning for breakfast in an Irish pub. 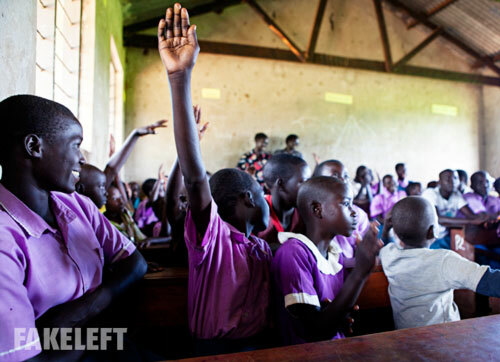 Then in May, at LifeWomen conference, we collected underwear for schoolgirls in Gulu, so they can wear their sanitary pads and not miss a day of class. When Stephanie Skinner asked if we could bring undies, Helen Burns said, “Yes, let’s do it!” and it still makes me smile really big when I remember how the collection bin in the foyer at Relate Church overflowed with girl underwear. It was such a simple thing to do, really, but collectively it made a huge impact. That’s been a theme, really: each one of us bringing what we have, so that together we can move mountains. That Thursday night my lifegroup girls helped sort and pack over a 1,000 pairs of undies and a few days later Tina and I flew to Uganda. O, what a day when we met Stephanie in person for the first time. We drove up to Northern Uganda with her and James and got to meet the women at Watoto’s Living Hope Center in Gulu—the ones we had run a half-marathon for in 2011. We learned about makapads and spent two days with the girls in the local schools. We listened in as they heard about the value of being a woman and the power of getting an education. We sat in small classrooms and heard about the obstacles they face and it still astounds me when we learned that it’s not poverty, mainly, but monthly periods that keep so many girls out of school. 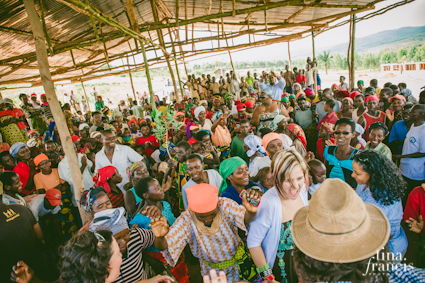 A few days later we flew to Burundi, gave Kelley the biggest hug at the airport and then danced with the women in Bubanza. I wrote about it–about how we danced on holy ground that day and how heaven came very very close. This year, we also partnered with Tara Teng and her big heart and a few of us got to go pamper girls at Deborah’s Gate, a home for victims of human trafficking in Vancouver. Everyone brought something—banana bread and drinks and cookies and fruit and veggies. We painted nails and danced and ate good food and remembered how us girls, even from so many different nations and places and stories, we’re all the same, really. And God loves us. In August, we wrote Love Letters to our Bodies and I will never forget the Saturday Megan’s story went live and the responses started flooding in. I was away with our extended family, but my phone kept buzzing and the tears welled up fresh every time as I read the new posts added to the synchroblog. Just a few days ago, a beautiful friend sent me a facebook message to tell me how much that simple exercise had impacted her. What a moment. – In August, we also added monthly themes. 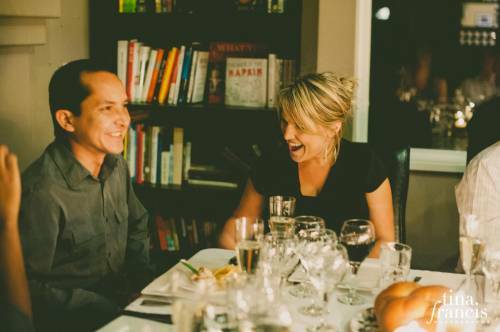 – We had a shindig with Jeff Goins and talked about being wrecked for the goodness of God. – This year we also added many new writers and grew from a few hundred likes on facebook at the beginning of the year to nearly 2,000 now. -We hosted our first ever Twitter party. -We changed to six posts a week and began to honor Sundays as Sabbath. In November, we added Day Editors to carry the six days on SheLoves. Holly Grantham on Mondays, Claire De Boer on Wednesdays, Sarah Richardson on Thursdays, Tina Francis on Fridays (starting January) and Winnie Lui on Saturdays. It had to happen, because on Nov. 1, I took on a part-time job with NightShift Street Ministries in my city. The next morning I woke up, lay in bed and said cried to Jesus: How are we ever going to do this? Within seconds the answer came, crystal clear: Empower others. Of course! I kind of wanted to give myself a little tap on the side of the head, because our whole mission here at SheLoves is to “mobilize and empower women to transform our world together.” Duh! It was about time we started doing it well with an editorial team. So, we had our first official editorial meeting at the beginning December. We Skyped in Rebecca, Holly and Kelley Nikondeha, while Sarah Richardson drove all the way from Tacoma, Washington to be with us. We gathered at Rose Woller’s house—a friend with heaps of experience and a big global heart, who had taken on the task of helping us think strategically and build a strong foundation. I’d told Rose this: I don’t want to just grow, I want us to build our foundation strong. We also launched the SheLoves Mercy Christmas project–to empower and give dignity to the young women at Mercy Ministries of Canada for Christmas. It was hard and so good. I will never forget the Skype call with Rebecca on a Wednesday night—we talked about how the Chipin digits just weren’t moving and the only thing we could do was pray. We knew God had it. I was reminded again that this has never been our projects, after all, but merely God working through us and in us to help create change. Then, a few weeks later, we asked for peanut butter and KD and ginger bread houses. When Daniela emailed me her post, I didn’t know if we could ask for more from you, our readers, but as we prayed I knew this wasn’t about what I thought could be done or asked for. – To empower others, as we are empowered. – To mobilize others, as we are mobilized. – To transform our world, as we are transformed. I listed the moments that felt like Big Leaps as we entered into them this year. They were scary. Sometimes I wondered: Will we fall flat on our faces? Will we look ridiculous? Will anyone show up? I am learning that is not the important questions to ask—those things really don’t matter. Rather, we simply need to ask: Is this God’s heart? And: Is this ours to take on? In 2013, I want us to keep chasing after God’s heart and asking ourselves if a project is ours to take on. Or not. When I think of 2012, yes, I remember these big leaps, but I am even more aware of how God worked in our individual lives to empower us, stretch us, grow us and then help us leap to do these difficult things and the necessary things. -Tina found her enough and owned the fact that she’s a photographer. -Kelley joined Twitter (@knikondeha), owned the fact that she’s a writer and started her very own blog where she’s faithful in sharing her unique wisdom, voice and perspective. –Claire shifted big time. She moved her words from her head to her heart and continues to bring strength as she stands “with.” As an editor, she was such a big behind-the-scenes part of the Love Letter to our Bodies. To be honest, if it wasn’t for Claire, it might not have happened. I treasure this girl. – This year, Daniela shared the thing that felt like shame–the thing she thought was holding her back–and discovered she is much bigger than her education. She also carried our Facebook page for much of the year, in spite of her fear. Seriously, another girl I couldn’t do life without. –Danielle had her third boy and keeps us on our toes with her strong, upside-down kingdom words. -Rebecca received a new liver and became strength for us here—especially in hosting our Twitter account and now she also helps to keep me on track. Then, as a Mercy graduate, she stepped out with the Mercy Christmas project, because she knew how much it had meant to her. -Sarah R. got hit by a truck and learned how much Jesus and people cared about her. Now she’s here and I can’t imagine SheLoves pre-Sarah. –Fiona in Luxembourg came close. It moves me so much that she can find some community with us here online, even though she’s geographically removed. -Stephanie Skinner moved back to Montreal to hunker down and finish her degree. 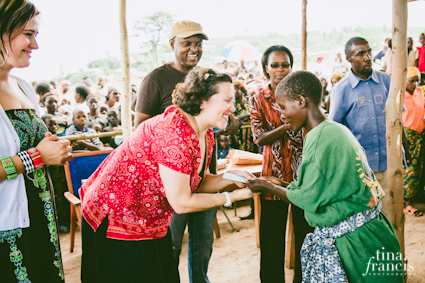 –Ashley made a huge leap of faith and chased her dream of moving to Uganda for five months. –Enuma became the first woman of African descent to preach at the historic American Church in Paris, plus she published another book. 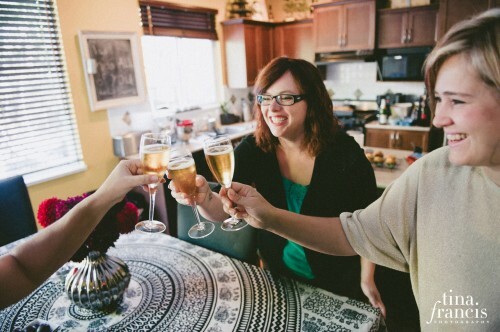 –Sarah Bessey got a whopping two-book deal this year and we popped some early morning apple bubbly with her to celebrate. –Abby Kelly came and stood close and shared some of the heaviness in her soul, becoming lighter and stronger. -Winnie keeps showing up and adding her strength and story. –Michele Henter, one of our most ardent cheerleaders, just sent in her first submission. –Saskia Wishart, Rachel Pieh Jones and Holly Grantham said yes and joined us as regular contributors—women with big hearts and stunning stories. –Megan Gahan went first–for all of us–and wrote that raw and freeing Love Letter to her Body. –Emily Wierenga ran hard and so strong this year, publishing yet another book, even while mothering two extra boys in her home. –Desiree Adaway inspired with so much strength and wisdom in her Monday words, refusing to settle for less for us as women. -Stefanie Thomas tells her stories that inspire and bring family close. –Christina Crook published her first book. –Kisa leaped to her destiny, chasing justice in a big way. -Amy is birthing her dream. 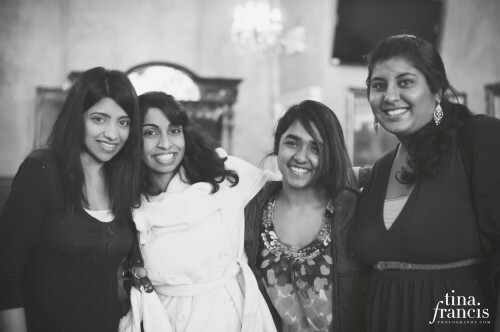 –Stacey is blooming–from India to Arizona. –Vera helped to take Relate Church’s Kids Christmas project online and give it wings. 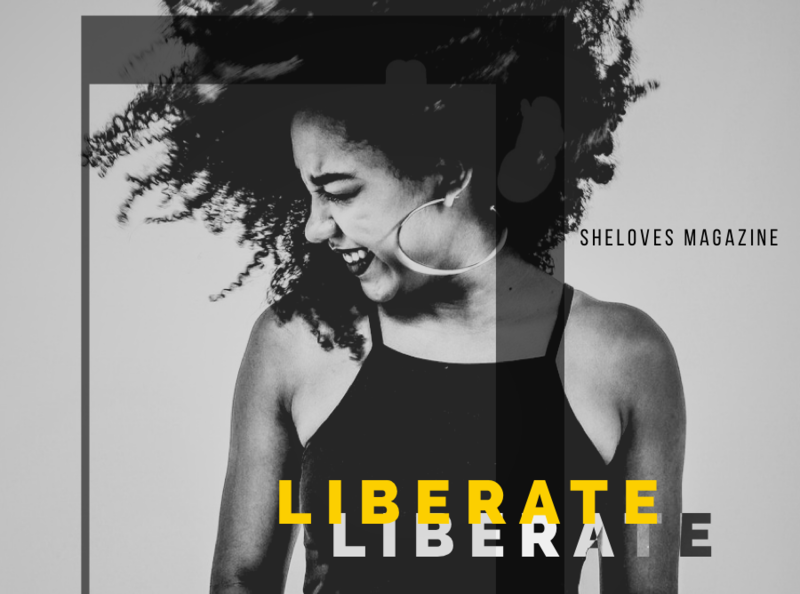 –Shekinah writes plays that are transforming her country. 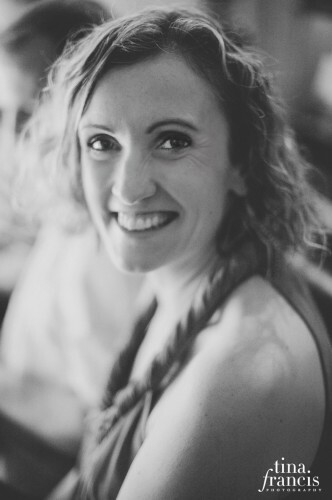 -Erin launched her gorgeous new website and will be packing up her life and moving to Iraq soon. –Pam publisher her first book, Unladylike: Resisting the Injustice of Inequality in the Church and found her voice. –Kathy is already running so strong and free, leading us and many communities in downward mobility. Then there are the girls on my couches every other Thursday night. These girls take my breath away. I see transformation happening up close and personal, because they keep showing up. -The the one I saw go from crouching in the corner to finding her breakthrough this year. -The one who refused to be silent any longer. 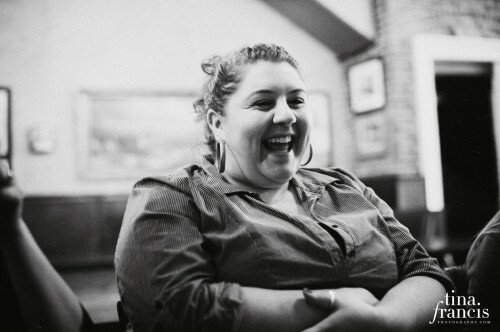 -The one who found a great job this year and now nourishes women in Vancouver’s Downtown Eastside. -The sassy one who thinks she sells fries, but saw a glimpse of her big future in Kenya. -The advocate who spent a night in the slums in Kenya this past summer and will never be the same. -The one who stands up for girls, so they may know their self-worth, just like she’s discovered hers. -The one who lives around the corner and helped pack undies and now wants to go and do the same. -The one who still observes, mostly, but will find her voice, because she keeps showing up. The breakthrough I’ve seen in the women who have stood close, that’s what I want for every person who comes and stand with us here on SheLoves. 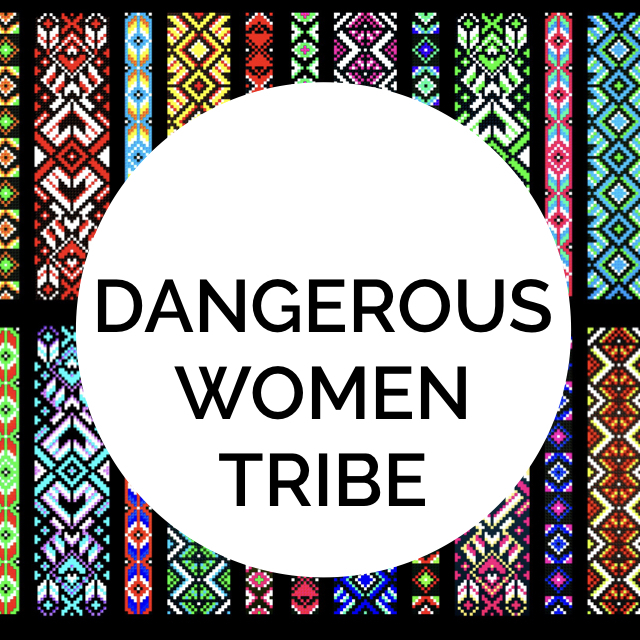 Like Rebecca recently shared in her facebook status: This is hardly a magazine … We are a community, a sisterhood. Not perfect, but how could we be? That’s how we trust God and remember how much we need Grace and each other. I’ll be honest, there’s a fire in my belly for 2013. I am just not satisfied with shares and likes. We’re not here to grow bigger and just have more likes. – I want you to lead us and the women in your world in your God-sized dreams. – I want us to draw closer and grow stronger together. – I want us to grow into the women God created us to be. – I want us to become transformed. What I am truly hungry for this year is transformation. Engagement is great, but to me, the shares mean nothing, unless, over time, we become transformed together. In order to be part of transforming our world, we first have to experience our own personal transformation. We know this. That’s what I want to work for in 2013: To mobilize and empower more of us as individuals, so we can change our world together. You’ll learn more about these plans soon enough; meanwhile stay close. We have seen the beauty and blessing in unity. Which brings me to my One Word for 2013: “exponential.” It’s the word that almost immediately came to mind when I first starting opening my heart to a new word for this coming year. I have to admit, I wanted to shrug it off. “Exponential” sounded like math and a bit audacious (again). It sounded like a growth campaign, but when I sat down with the dictionary and looked up “exponent,” I learned that an exponent is a champion, an advocate. I also see a beautiful picture of “with.” Someone who comes alongside, stands with and helps unlock the true potential of another—helping to multiply those God-given gifts inside every one of us, so that more of us can rise to our true potential. That’s what I want this year to be about: unlocking the potential in each other as we stand together. I can’t stand with every SheLoves follower, but I can stand with some. My hope and prayer is that you will then do the same—go and stand with another, see her potential, stay with her, be a safe space for her and cheer her on to follow the God-dreams inside of her. I am simply doing what others have done for me. I am flourishing, because women like Helen and Diane and Dorothea and Angela and Erin and Sharon and Adele and Gwen and Trinity and Ellie and every one of you I mentioned already, believe in me and cheer me on. I believe 2013 will be our year of exponential growth, as we go and stand with others’ God-sized dreams and God-given potential and yes, find our own in the process. – In 2013, may we go to the edges of ourselves to discover more of God. – In 2013, may we be more of our true selves. – In 2013, may we truly be women who Love. Happy New Year, my SheLoves friends. I love you and treasure you.